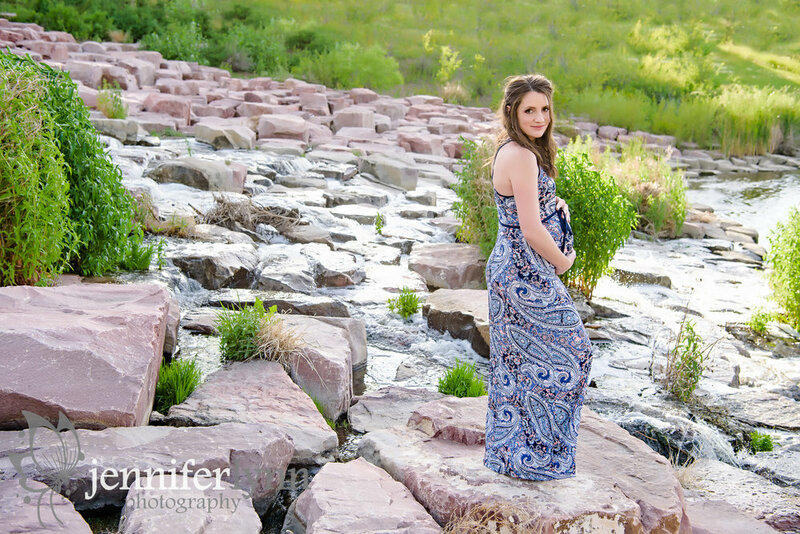 We almost missed our chance for this mom's maternity session! The day after these were taken she was put on bedrest - with two other little ones to care for in the meantime. The only time I've been on bedrest was with my first, and I can only imagine the challenges that come with having to sit and rest while having to explain it to older children. I'm so glad we were able to meet up this past weekend for these gorgeous photos of this family before they add another little one later this summer. They are even waiting to find out the gender so I'm very excited to see them all again in a month to meet the newest member of their family. We first met at the water feature location and were able to get some beautiful photos of mom, just parents, and the whole family. The big brothers were so adorable and did great following directions all over the big rocks. We also had perfect golden light for some other photos by the lake before driving to our second location with mountain views. I love the completely spontaneous photo of the boys showing me their tummies. What a precious photo for this family to cherish! A big thanks to this family for rearranging plans to our earlier maternity date and for allowing me to preserve these memories for you. I look forward to seeing you all again very soon!